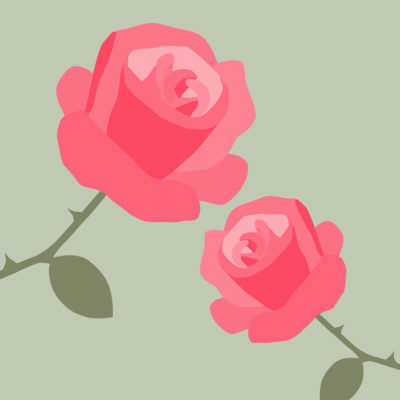 Roses are one of the most rewarding plants to grow and care for. 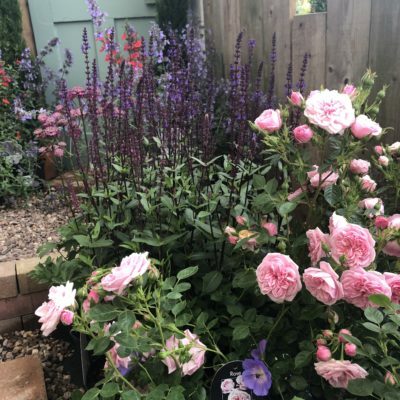 So many colours, varieties and many with truly wonderful scents perfect to add beauty and scent to a sunny spot in any garden or patio! 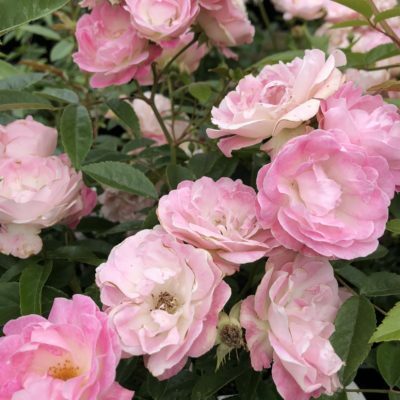 A sunny, open position with minimal trees and shrubs in the bed or border (as they will compete for water, light and nutrients) is perfect for all types of roses. Dig a hole twice the size of the rose pot. 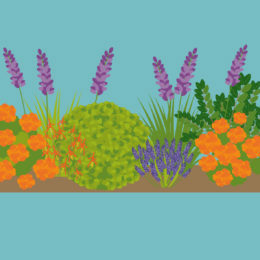 Incorporate the organic matter into the planting hole. 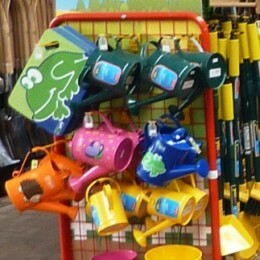 Mix a slow-release fertiliser into the soil before positioning the plant. Finish by back filling with soil and applying a mulch of garden compost around the base. 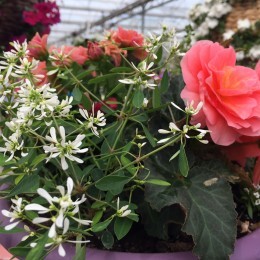 Roses are a particularly hungry shrub and require frequent watering and feeding as young plants and during the growing season. If you allow to dry out, there is a risk of pest and disease problems like rust, powdery mildew and aphids. 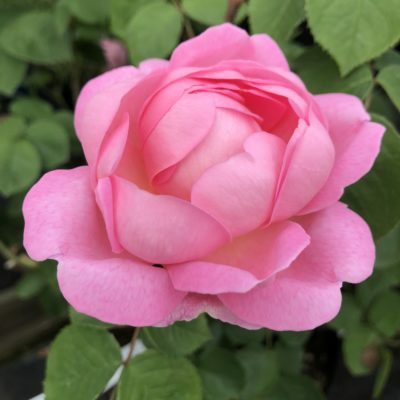 Specific rose fertilizers are available to use but an all-purpose liquid feed can also give roses a quick boost if you want to feed them alongside other plants. 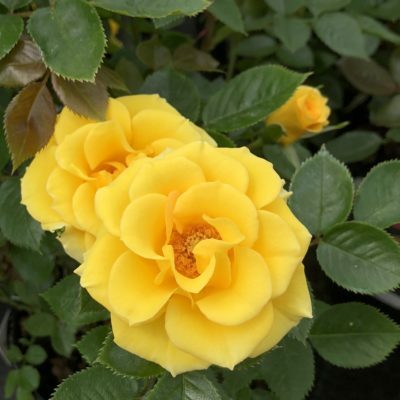 Dead-head regularly throughout the season to encourage and maximise your rose flowering time. Carefully weed around the base often avoiding any disturbance to the roots near the surface. 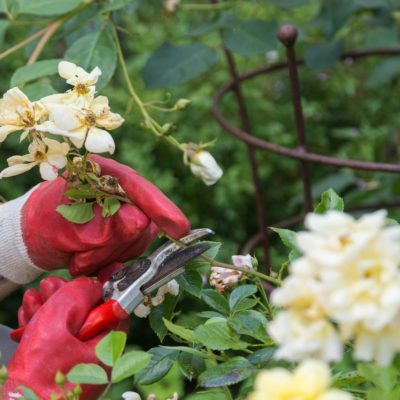 Each type of rose requires a different pruning technique. Our plant team are always on hand to offer guidance. 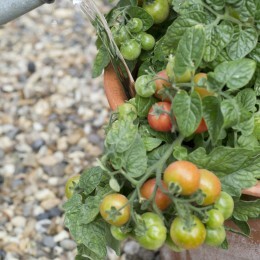 Top tip: Cuts should be no more than 5 mm above a bud and should slop away from the bud to avoid water collecting in the bud. Some plants are just made for each other. Good rose partners are those that hide their bare stems. Traditionally Lavandula (chosen to ward off aphids) and tall growing Dianthus or Salvias make good partners. Roses love garlic so members of the onion family such as chives, ornamental alliums are rumoured to increase their scent, ward off aphids and prevent black spot. 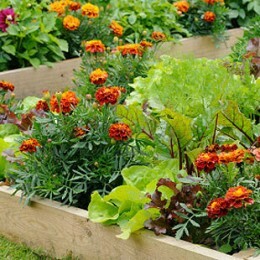 Marigolds may also repel pests and encourage growth. 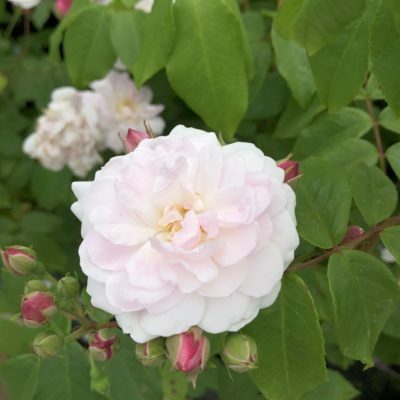 Top tip: Remember to plant rose companions at least one foot away from your roses so that you do not disturb their roots.